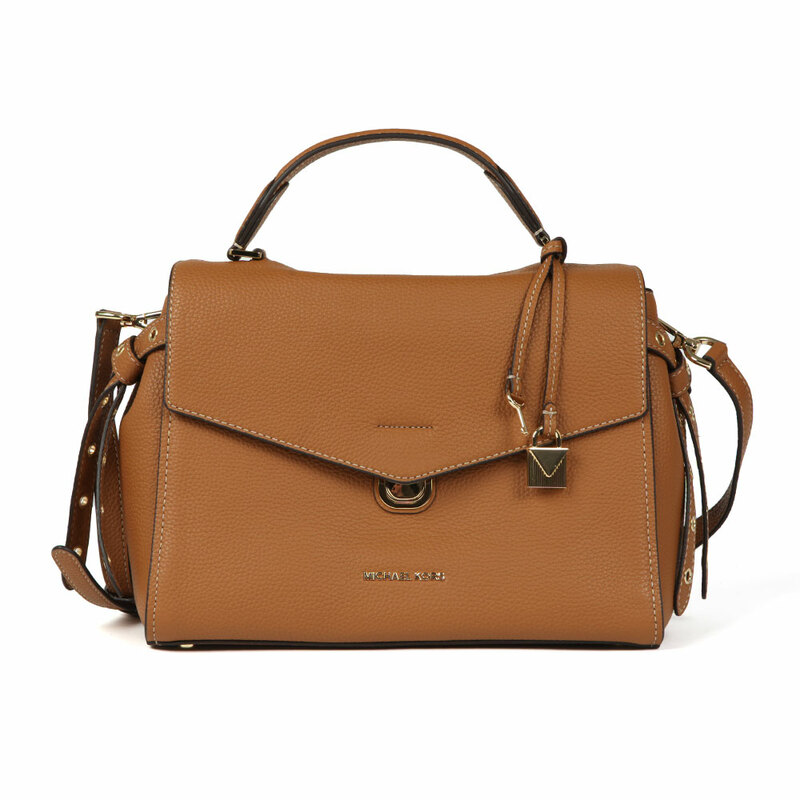 Michael Kors Bristol Mid Satchel in 'acorn' has been crafted in a tan coloured textured leather in a fold-over silhouette. Knotted leather to the sides and padlock & key hardware add stylish detail and gold Michael Kors hardware is displayed to the front. 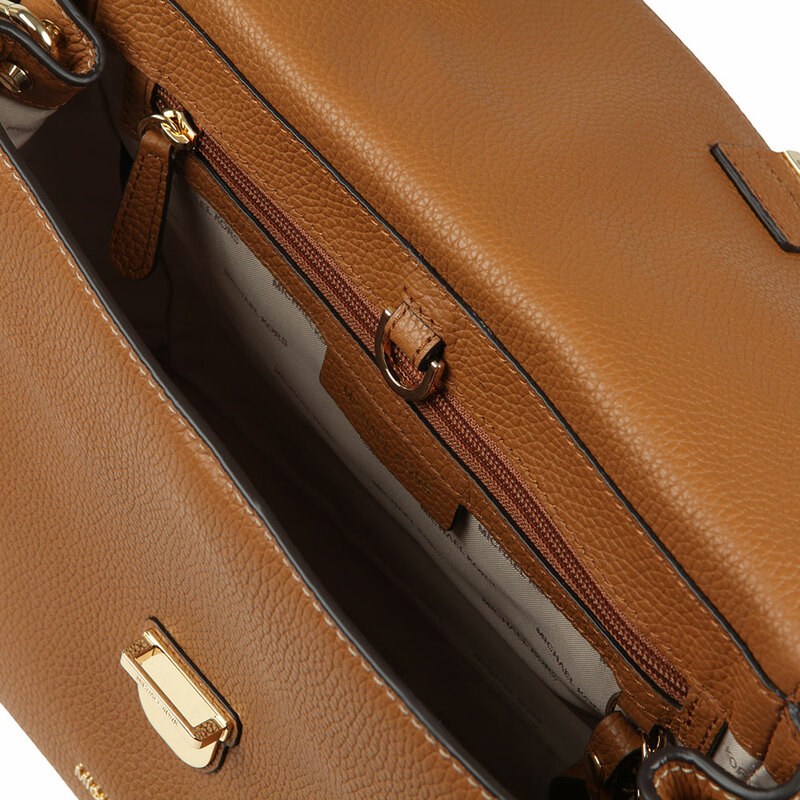 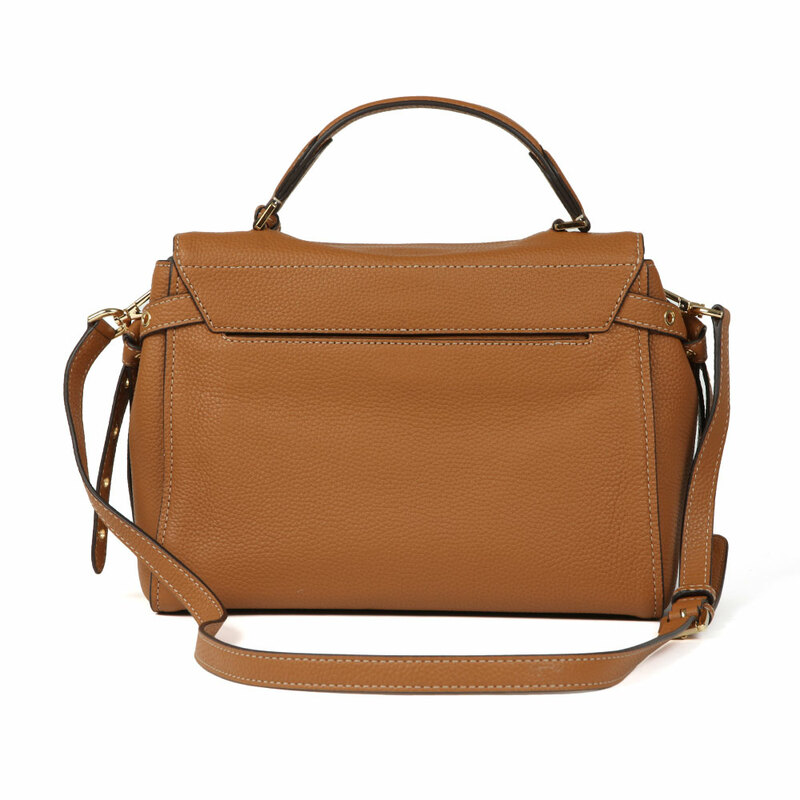 The option of a long, detachable shoulder strap and short top handle make the Bristol versatile.